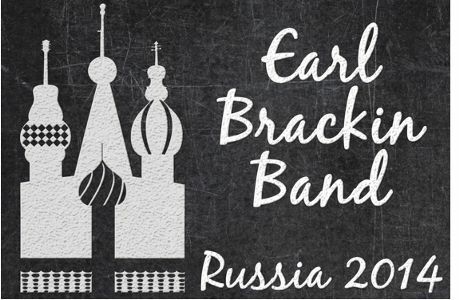 The Earl Brackin Band has been invited to play Bluegrass music in Sochi Russia during the 2014 Winter Olympics. In February 2014, The Earl Brackin Band will tour Russia during the Winter Olympic games as performing members of the Engage Sochi project. The band will start in Moscow with a concert then spend 4 days playing in Sochi, the site of the winter games. They are trying to raise the funds to get the band there, feed and house them. There was always music in Earl’s home. His dad was a woodwind specialist and a band director. His mom played piano, violin and cello. Earl’s earliest memories were of swing music and close vocal harmonies. He learned to play guitar first as a means to accompany his singing and was soon was captivated by the warm acoustic sound. As a writer, he draws from these varied musical influences. As a performer, his concerts are more like an honest conversation between two people instead of a performance. His relationships with his friends, his family and his faith craft the themes of his lyrics. When not performing solo he can be heard playing mandolin with the popular bluegrass group “Spatial Effects”. After their debut performance in Moscow, the band will fly to Sochi where the games are being held. One special feature of their mini concerts involves Olympic pins. Since pin trading is a popular activity, we’ve will have specially designed pins to give away at each of these impromptu gigs. Would you please consider supporting us by sharing this event with your friends? We would also love to have you as a prayer partner throughout the year and if you can help financially through the Kickstarter project, well we would be very thankful and have a few items to show our gratitude. The Original! - Bavarian’s Big Bluegrass Camp!